Develop and validate manufacturing processes for two novel molecules, one in phase 1 development and the other in phase 3. Unlike its competitors, AGC Biologics believes in maximally de-risking every process it develops, regardless of the stage at which the project begins. This philosophy is based on the understanding that every step along the manufacturing spectrum serves as a foundation for the steps that follow. AGC Biologics is committed to providing its clients with Quality by Design, an approach to Process Development based on formalized methods and Quality System infrastructure that simultaneously support at-scale manufacturing for early-phase clinical trials and scale-up to meet late-phase clinical and commercial needs. AGC Biologics initiated each of this client’s projects with a full process risk assessment. This assessment is designed to provide tools for prioritizing and addressing potential issues early in the Process Development pathway as well as to provide an early assessment of potential Critical Process Parameters (CPPs). Competing CMOs typically wait to implement a full Process Control Strategy at final Process Validation. However, undertaking process changes at later developmental phases may be time consuming and expensive, forcing clients to choose between an optimized manufacturing process or remaining on time and within budget. AGC Biologics provides an environment that allows clients to make decisions at earlier time points when implementing change is easier and has less regulatory impact. Toward this end, AGC Biologics is working closely with this client to define Critical Quality Attributes (CQA) and to develop a Quality by Design (QbD) process for both the phase 1 and phase 3 projects. 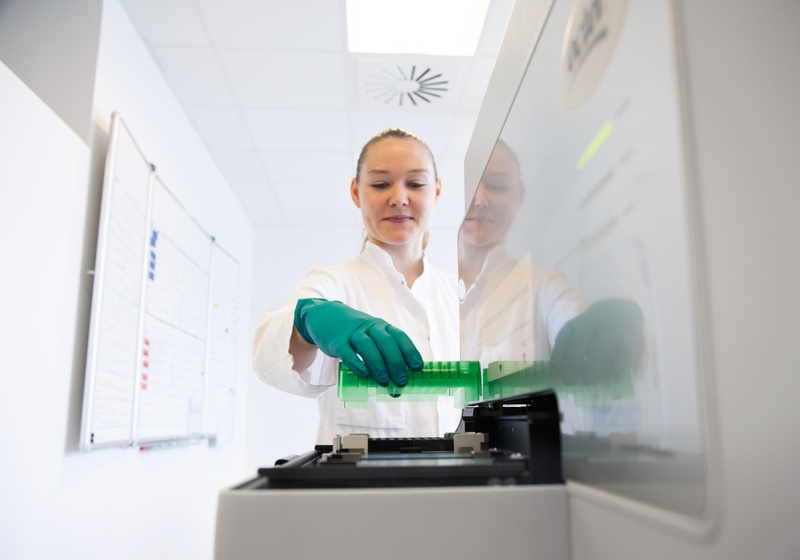 Initial Process Control Strategies are then developed for both projects, including identification of potential CPPs, as this process is built into the technical transfer Quality Systems at AGC Biologics. The goal for each product is to develop a manufacturing process that consistently performs at the center of the operational range. AGC Biologics will provide the client with a custom-designed, Continuous Process Verification program to ensure that the process for each product is well controlled and that even small changes in performance can be detected and addressed proactively. AGC Biologics has completed the first risk assessment for the phase 1 product and is 50% through the first risk assessment for the phase 3 project. The results of these risk assessments are being shared with the client, enabling data- and objectives-based decisions around expanding the Scope of Work to address potential areas of risk at bench scale. AGC Biologics and the client believe that addressing these challenges early and at small scale will reduce time, cost, and risk as these products advance through later stages of Process Development. We are on track to deliver the first iteration of a Process Control Strategy for the phase 3 project within eight months of project initiation. Additionally, AGC Biologics is providing the client with a portfolio of regulatory documents for each project that is expected to reduce time and cost at later stages of Process Development and manufacturing. The client is positioned to achieve its near- and long-term Process Development objectives and fulfill its manufacturing needs for each project.